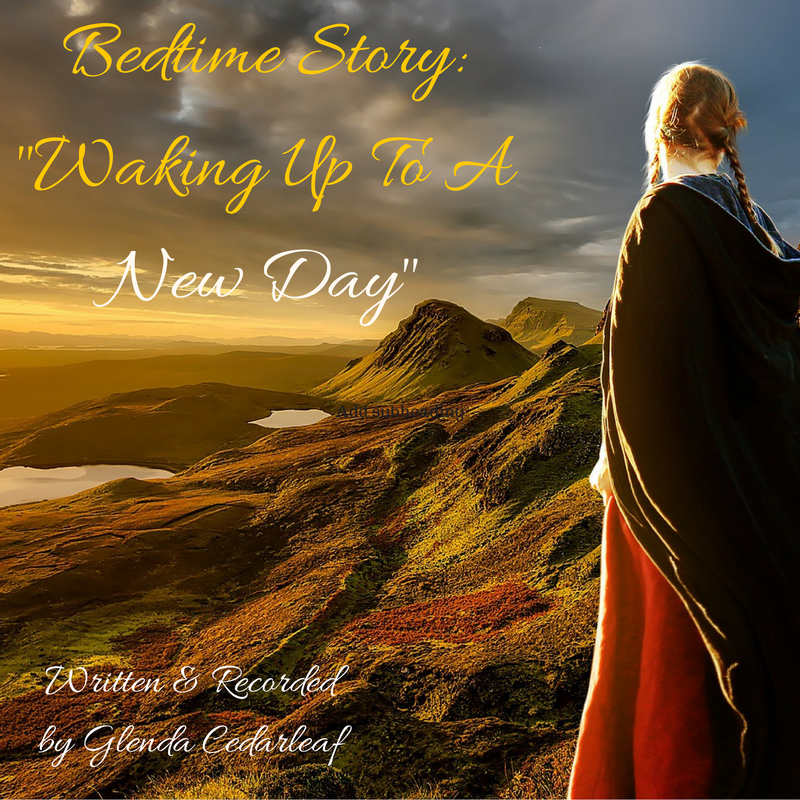 Join "Claire" in this bedtime story for adults as she moves through an awakened experience that includes fond travel memories, connecting with images that calm and inspire and settling into a soothing journey of returning back to hope and settling into a nurturing rest. Includes quotes by Amy Lowell and Rumi. Beautiful music by Christopher Lloyd Clarke. "Exquisito! I am sharing with a dear one for whom it seems it was written, whose life story and healing journey so parallels this beautiful ‘meditation’-from early days in L.A. to hours of soaking time in the tub right up to a new and recent perspective on healing and well-being . So grateful to hear Glenda’s soothing voice again, for her beautiful delivery of this enchanting story. Many thanks. "
"I never considered the telling of a bedtime story as an option to lure me to sleep, at least not in the last 50+ years but this one is incredible. It has every thing you would want to place into your subconscious just before dropping off to sleep and that you want waiting there upon waking to start your next day. I love it!!!" "Ethereal and familiar at the same time." "Beautiful story. Especially poignant if you suffer from chronic pain as I do. Will revisit this world often for a touch of grace." "Amazing - this takes you to a place of tranquillity - enjoy"
"The imagery was a beautiful visual painting to sit and to watch float by. Thank you sharing the ease and flow of relaxation within creative imagination!" " I grew up in Mexico  so I loved the memories of the Mexican marketplace! Very soothing." ​"What a lovely idea! I listened during my morning yoga practice and the story brought me gently into presence. Suitable for all and especially those with chronic pain or other ongoing health issues including depression. Warm and easy to listen to voice, with pleasant and unobtrusive background music. Grateful for the experience."